The Flower Theatre today. Photo from Google Street View. UPDATE: Sligo at Silver Spring, Singular kindly reminded me of this detailed post he wrote on the Flower Theatre's history last year. Check it out! Next month, Fenton Street Market will host a charrette or idea-generating workshop on ways to reuse the Flower Theatre in Long Branch, which has sat empty for years. How did it get that way, and why hasn't it been filled yet? Let's take a look at the theatre's history. Located on Flower Avenue just north of Piney Branch Road, the Flower Theatre opened in February 1950 and was built by the K-B Organization, a regional chain of movie houses. It was designed by architects John Jacob Zink and Frederick L.W. Moehle, also responsible for a number of well-loved local theatres, like the Uptown in Washington and the Senator in Baltimore. 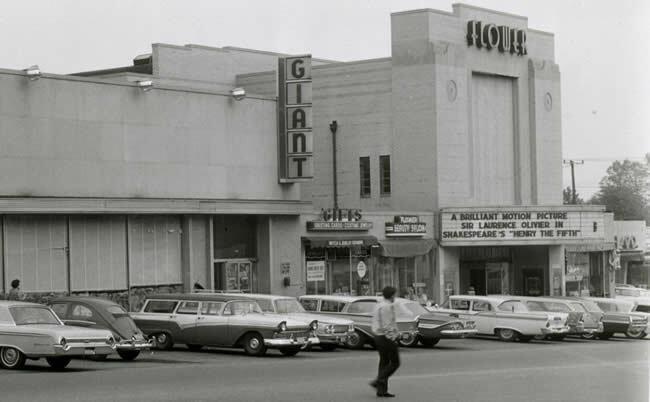 The first film shown at the 800-seat theatre was "Great Lover" starring Bob Hope, and audiences could enter to win a new Plymouth. Later that year, the Flower appeared on the cover of Boxoffice magazine in an issue on "The Modern Theatre." 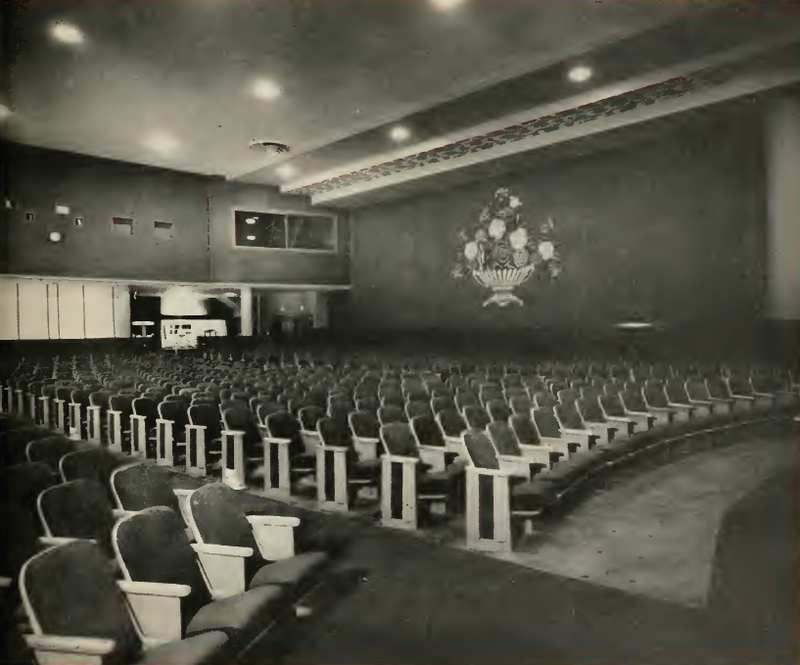 Inside the Flower Theatre in 1950. Photo from Boxoffice Magazine. The surrounding Long Branch neighborhood was changing, however. By the 1970's, it had become Montgomery County's "melting pot," home to immigrants from around the world. However, blight and disinvestment afflicted the neighborhood, affecting the Flower Theatre's fortunes. 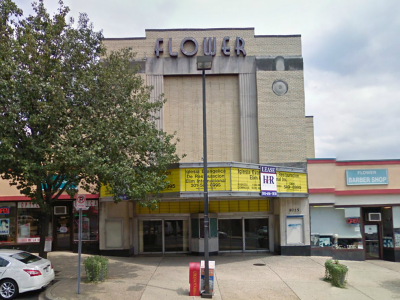 K-B closed the Flower and sold it in 1979, the same year that Flower Avenue was described by residents as "quite seedy" and "the trashiest neighborhood in Montgomery County" in a Washington Post article. Throughout the 1980's, the theatre changed hands twice as new operators divided the single auditorium into two screens, added two more screens, and converted it to a discount movie house. After closing again in 1996, a local entrepreneur bought the Flower and tried to turn it into a cultural arts center before his plans fell through. More recently, a Spanish-language church occupied the building before moving out in 2008. The theatre has been vacant ever since. During that time, people have been dreaming of what they'd do with the Flower Theatre. Last month, friend of JUTP and Long Branch resident Amanda Hurley reached out to her neighbors, who had lots of ideas for the space. Suggestions included turning it into a venue for "fun exercise activities," a community meeting hall, or an indoor flea market. One of my favorite proposals was repurposing the Flower as a café and bookstore, like the Tattered Cover Book Store in Denver, also a former theatre. Not surprisingly, many folks recommended returning it to a movie theatre showing second-run or foreign-language films, in a nod to the area's Spanish-speaking population. However, any reuse of the Flower Theatre could be very expensive. "If someone wanted to come and use it now for retail, for theatre, or anything else . . . it would need a complete gut renovation to bring it up to code," says Greg Fernebok of Harvey Property Management Company, who owns the Flower and the adjacent shopping center along Flower Avenue. Fernebok estimates it would take over $600,000 to make the space usable again, which includes installing fire alarms and sprinklers, building ADA-complaint restrooms, and replacing the roof, among other improvements. And if the building is historically designated by the county, there may be strict requirements for how it's restored. Unable to find a tenant willing to pay for those improvements, Fernebok has basically left the building alone. "It makes more sense to leave it in the condition it's in and keep it safe," he says. That said, it's unclear what the theatre's condition is, as very few people have been inside since it closed. Judging from this 2008 photo of the lobby, the space looks habitable, though most of the original décor is gone. The Flower Theatre in 1962. Photo from the Montgomery County Planning Department. There remains a lot of potential for the Flower, however. The shopping center surrounding it is completely leased and hasn't had a vacancy in 20 years, suggesting that there's demand for more retail space in the area. 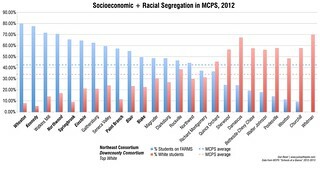 Meanwhile, the area is becoming more affluent. Households within one mile of the Flower Theatre have a median income of $73,000 a year, while those living within five miles have a median income of $93,000. Eventually, the Purple Line could stop around the corner from the theatre, drawing additional visitors and investment to the neighborhood. Though bringing the Flower back to life will be challenging, all the changes in store for Long Branch make now a great time to start exploring how to do it. The goal of our charrette is to create an "inventory" of community wants and needs and explore how the Flower Theatre could be repurposed to meet them, whether in the short term or in the future. We've also invited local architects, planners and community leaders to offer their thoughts and expertise. 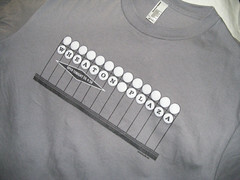 Like in previous charrettes at Fenton Street Market, we'll have a big tent with tables, chairs and lots of markers. You'll be able to stop in throughout the day to offer your perspective and suggestions. Hopefully, this will be the first of several charrettes throughout the summer and fall tackling different disused spaces around Silver Spring. If you'd like to participate, come out to Fenton Street Market on Saturday, August 4 from 10am to 1pm. The market is located in Veterans Plaza at the corner of Fenton Street and Ellsworth Drive in downtown Silver Spring. For more information, you can email me at justupthepike at gmail dot com.